Microsoft has launched a new version of Windows 10. Called Windows 10 S, it is aimed primarily at budget PCs for the education sector. Windows 10 S has been streamlined to be able to run on low-end computers with lower hardware requirements and smaller install size. It is also designed to work faster, with the login process now taking only about 15 seconds from boot, which is quicker than Windows 10 Pro on the same hardware. Schools will also be able to configure multiple machines with a USB drive. Using preconfigured options, simply plugging in the drive in a Windows 10 S system will cause the PC to set itself up according to the preconfigured settings. 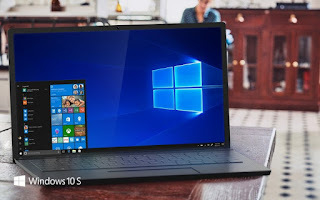 One of the major differences between Windows 10 S and Pro, however, is that Windows 10 S will only run applications from the Windows Store. Developers will have to package their existing apps and provide them through the Windows Store for users to install them. As usual, Microsoft will be curating all the apps on the Store. Windows 10 S will be appearing on new education PCs starting $189 this summer and will also include free subscription to Minecraft: Education Edition and free Microsoft Office 365 for Education with Microsoft Teams. Schools currently on genuine Windows Pro PCs will get Windows 10 S for free.